Apple’s macOS is still privileged from a security standpoint, despite gaining increasing attention from cyber crooks as its popularity has grown in recent years. And because of the rise of platform-agnostic threats, such as phishing scams, Mac users have all the more reason to lock down their device before they take it on the Internet. Today we’re going to look at five simple steps that all Mac users – even novices – can take to ensure the integrity of their data and online privacy, as well as the security of their computer. 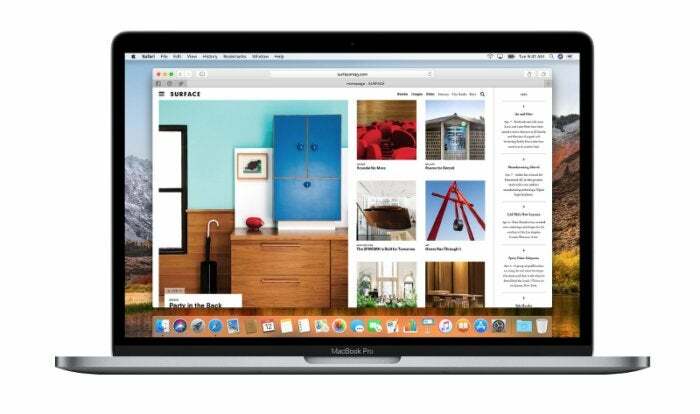 Safari lets you prevent cross-site tracking, limit access to location services, and block all cookies. You can find these settings in the Safari preference pane. A built-in Password Generator can suggest strong passwords for your online accounts, and its anti-phishing component swears to protect you from fraudulent websites. Safari also offers sandboxing protection in its built-in PDF viewer, and Flash Player, Silverlight, QuickTime and Oracle Java plugins. Last but not least, files downloaded using Safari are screened by macOS to determine if they contain executable files. If they do, you can cancel opening/running that program if you suspect it’s not safe to do so. iCloud Keychain stores your passwords so you don’t have to memorize them all. All you need is a unique, strong, master-password that you use to handle iCloud Keychain. iCloud Keychain grants you instant access to your online accounts and auto-fills your credit card information during checkout. All this behind a 256-bit AES encrypted wall. To set up iCloud Keychain, go to System Preferences -> iCloud -> select Keychain and follow the instructions from there. It’s not always wise to let your Mac constantly interrogate remote servers. If you have any reason not to fully trust your Internet gateway, you may want to block Spotlight suggestions. To turn off Spotlight Suggestions, go to: Apple menu -> System Preferences -> Spotlight -> Search Results -> deselect “Allow Spotlight Suggestions in Look Up.” In the list of services, also deselect the Spotlight Suggestions checkbox. 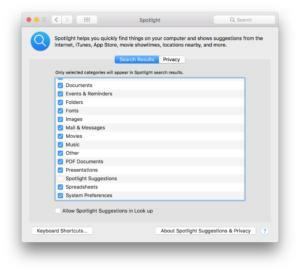 At this point, Spotlight will only search the contents of your Mac, while Look Up will only fetch info from dictionaries enabled locally on your computer. In November 2017, an embarrassing bug was discovered in macOS High Sierra (v10.13) that enabled anyone to gain administrator rights to a Mac by just typing in ‘root’ during authentication processes. Worse still, a Mac with screen sharing enabled could be exploited remotely. To fix this, Apple rolled out Security Update 2017-001. Anyone on macOS High Sierra should apply this patch immediately! Go to the Mac App Store on your Mac and look for it in the Updates tab. Today, everyone should run a trusted antimalware solutions as a best practice, and that includes Mac users. Bitdefender Antivirus for Mac delivers multi-layer ransomware protection, blocks adware, protects your backups, secures your online shopping experience, makes sure you don’t inadvertently pass Windows malware on to others, and has negligible impact on speed. Mac users can download Bitdefender Antivirus for Mac and try it out free for a full month.